Pictured, Chris Porter. Courtesy, Shore Fire Media. 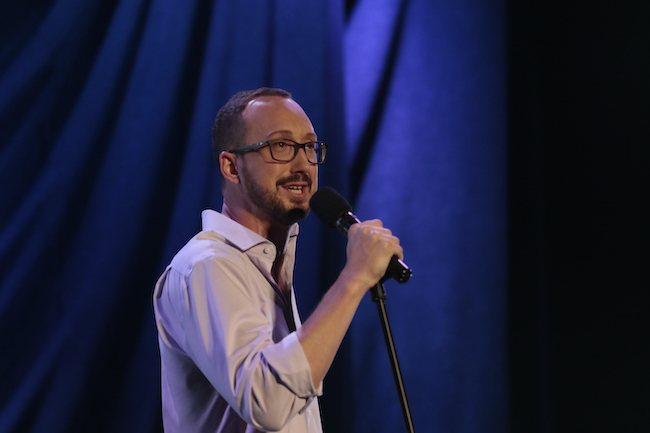 You may recognize Chris Porter from Comedy Central's Live at Gotham or his top-rated Netflix special, Ugly & Angry. The well-renowned comedian has an undeniable talent for making crowds lose it laughing. We recently had the chance to get to know Chris a little better by way of a party question interview -- because, after all, there's no better way to get to know a person than by asking if they'd rather fight a lion or a bear. 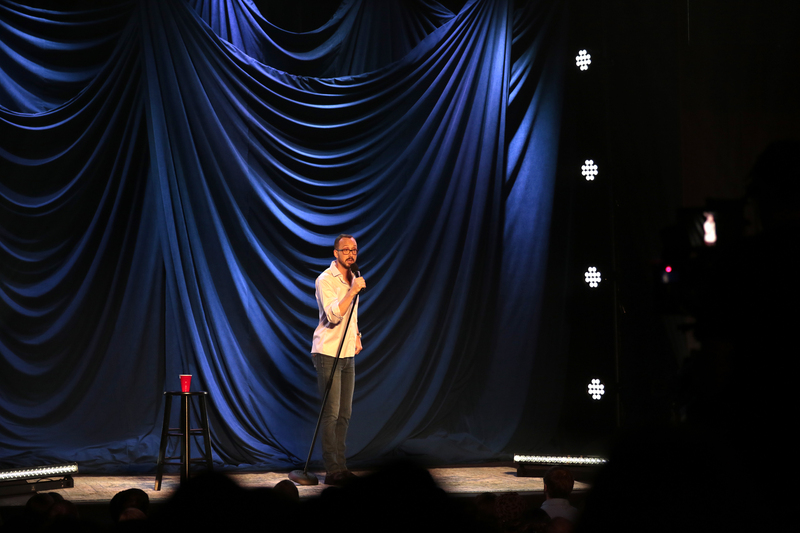 His new comedy special, A Man From Kansas, is set for release on April 16. The pre-order link can be found here. Here's what Chris Porter had to say to us about cars, unpopular opinions, pets, and more. OCN interviewer, Ryan Mekkes: What is your favorite free time activity? CHRIS PORTER: Playing my guitar. OCN: If you could only eat from one restaurant for the rest of your life, where would you eat? CHRIS PORTER: Waffle House ... Health-wise, probably a poor choice, but when I’m hammered at 3 a.m. I’m gonna seem like an f****** genius. OCN: What's your favorite pick-up line? OCN: What did you want to be growing up? OCN: What's one of your most unpopular opinions? CHRIS PORTER: That Luke Bryan and his music are f****** terrible. OCN: Do you have any hidden talents? CHRIS PORTER: I can turn off women in a single sentence, but I think that’s pretty well-known. OCN: Would you rather fight a lion or a bear, and why? OCN: You can have any pet in the world -- what do you choose? CHRIS PORTER: A dog that grows weed. OCN: Where is your dream vacation spot? CHRIS PORTER: Fiji ... I wanna see the water factory. OCN: What character, from any movie ever created, do you most relate with? CHRIS PORTER: A tie between Doc Holliday from Tombstone and Norbit. OCN: You're deserted on an island -- what's the first non-essential item you take along with you? CHRIS PORTER: Weed ... oh wait, you said non-essential. My turntable and records. OCN: What's a side of you that people rarely see? OCN: Who's your favorite comedian? CHRIS PORTER: He owes me money. OCN: What's the craziest city you've ever performed in? CHRIS PORTER: Guantanamo Bay, Cuba. OCN: What's the most nervous you've ever gotten before a show? CHRIS PORTER: Probably the first time I went up. I think I took 14 s**** in 10 minutes leading up to it. The last nine was just farts and whimpers. OCN: Are you an introvert or an extrovert? OCN: Describe yourself in three words. CHRIS PORTER: Sweet, Stoned, Kansan. A Man From Kansas is set for release on April 16.